Selected startups get a chance to pitch their open positions to students! 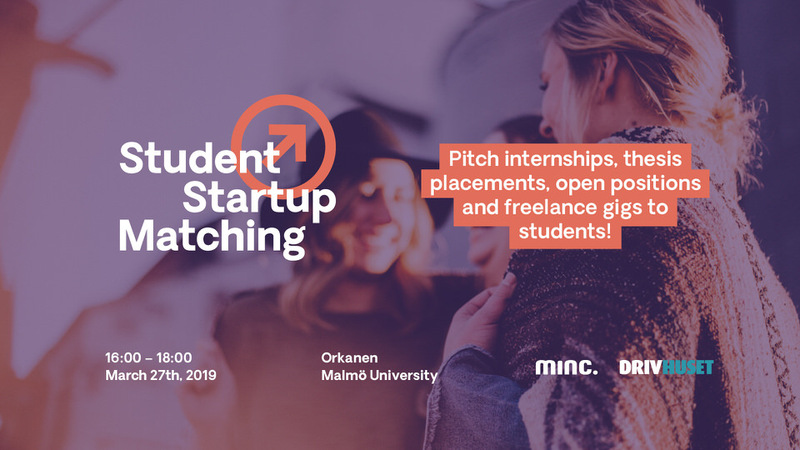 Minc together with Drivhuset host the second Student Startup Matching event in Malmö. Startups get the opportunity to meet students and pitch for them about positions they can offer. Around 30 chosen startups will pitch internships, open positions, thesis placements and freelance gigs to students. This event is open to students from all universities in Skåne and the greater Öresund region.